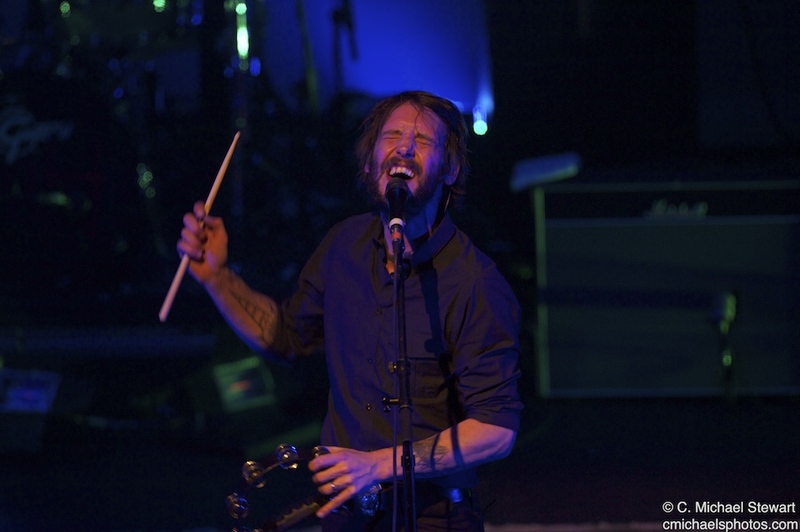 Band of Horses returned to Louisville’s Brown Theater performing their Infinite Arms Tour to a nearly sold out venue. The house was full of dedicated fans who sang along with the band on every tune. Lead by Ben Bridwell’s masterful voice, the Horse’s harmonized beautifully during their two hour plus set playing 27 songs with as many as four guitars matching notes on many of them. The band was joined by former member, Blake Mills who also opened the show and fit in like he had never left. The indie folk rock sound filled the air while an impressive background scenes gave you the feel of a peaceful night in nature. 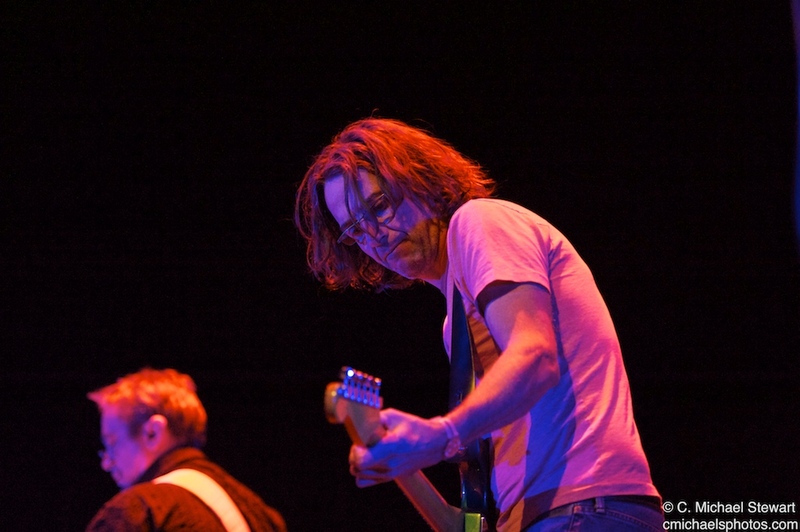 Brad was also on the bill featuring Pearl Jam guitarist, Stone Gossard who anchored the band along with excellent vocals from Shawn Smith. 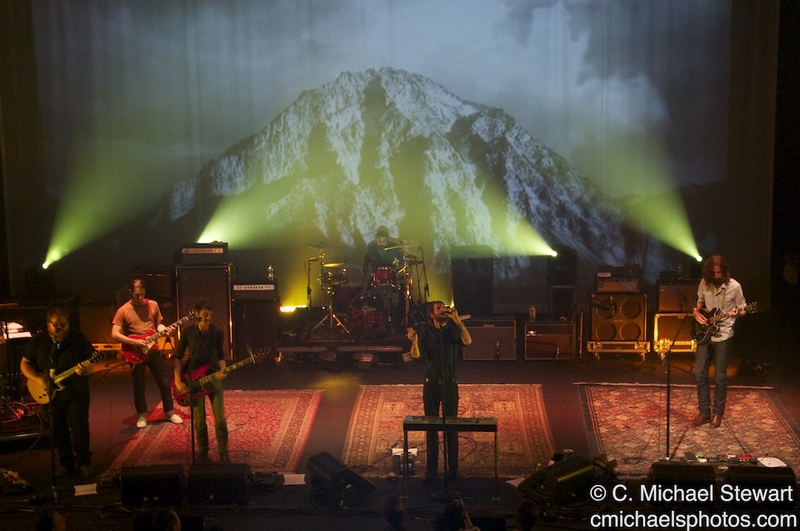 The band was very interesting mixing sounds of grudge, rock and soul with psychedelia for a refreshing sound. It was a night of quality music featuring very talented musicians who still clearly enjoy their work.